One of the biggest challenges of content marketing is simply being seen in a crowded space. According to the Content Marketing Institute’s survey last year, 88 percent of B2B businesses are doing content marketing. As more and more businesses add their contribution to the flood of content already out there, businesses have to be more creative in figuring out ways to get content in front of the right audience. Native advertising has been one of the solutions. Native advertising is content that brands pay media companies to produce. It shows up alongside the publication’s usual pieces with similar formatting, but marked in a way that lets readers know it’s been paid for by a brand. It can be controversial when done badly, as with the famous case of The Atlantic’s scientology native advertising debacle, but when it’s done well it’s a good way to reach a larger audience and raise awareness of your brand. Even though they were behind the most famous example of native advertising gone wrong, The Atlantic is also responsible for a number of impressive examples of native advertising that works. In fact, as of last year, native advertising accounted for 60 percent of the publication’s revenue. When you see their best examples, that’s not much of a surprise. 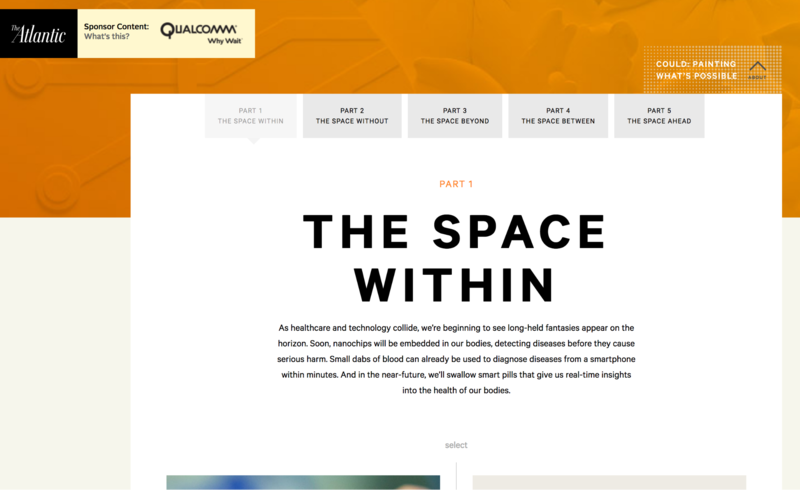 The Space Within is a five-part multimedia series sponsored by Qualcomm that combines art, video and written reporting to highlight technological advancements sure to be of interest to The Atlantic’s readers and also relevant to the work Qualcomm does. It feels like rich, creative reporting because it is. It fits right in with the kind of reporting and content that the publication does on their own, while covering topics that serve the dual purpose of being interesting to readers and helping to promote the brand paying for it. A full 44 percent of people in the United States own dogs, and you can bet they spend a lot of time thinking about how their furry best friends think and feel. 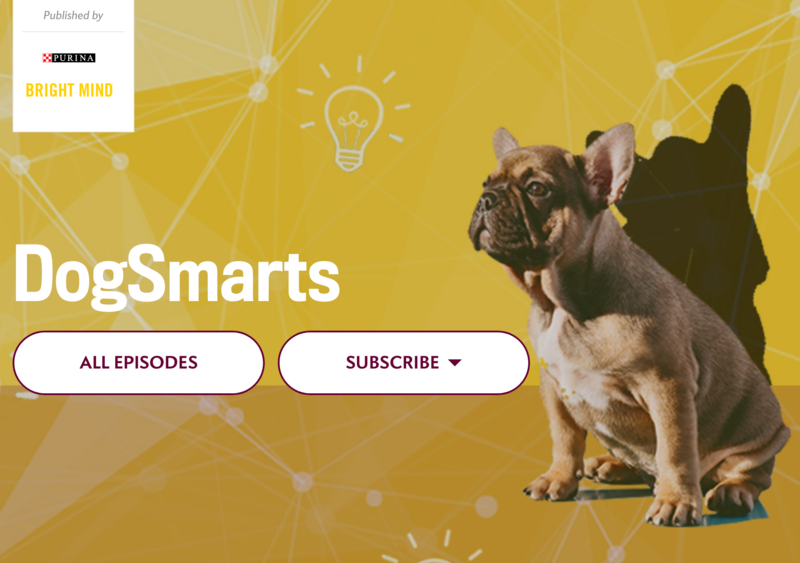 Slate worked with Purina to smartly answer some of the questions that a lot of their readers have about dog behavior in their podcast DogSmarts. Making a podcast was a natural fit for Slate, which produces a whole slough of them, and the format makes practical sense for an audience of dog owners who are likely to walk their dogs each day and multi-task with headphones as they go. The podcast does a good job of picking topics most pet owners are likely to spend time wondering about, like how dog memory works or whether or not dogs feel empathy. The podcast is tailor made for the audience most likely to buy Purina’s products: dog owners. And with Slate’s podcasting skills, it works as well as an entertainment product as it does an advertisement. Most people in the United States have become disconnected from where their food comes from. But now and then, you probably wonder about the process that brings those apples or that meat to your grocery store. 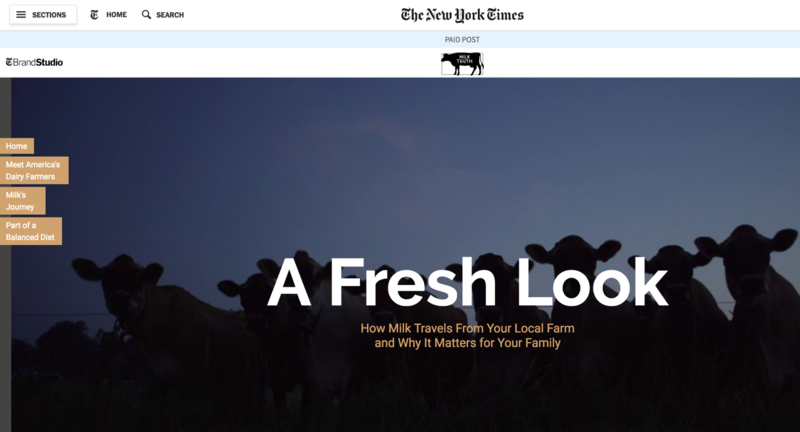 The country’s dairy industry teamed with the New York Times to tell the story of how milk goes from farm to table in A Fresh Look. The multimedia piece includes video, animated graphics and interactive features. It succeeds in humanizing dairy farmers and answers questions consumers are likely to have about topics like shelf life and the nutrients included in milk. As with our other examples, it manages to both feel like the kind of reporting a New York Times reader would be interested in if it wasn’t branded and manages to forward the brand’s goals. Buzzfeed is probably the brand best known for turning branded content into a successful business model and they’re one of the best at it. 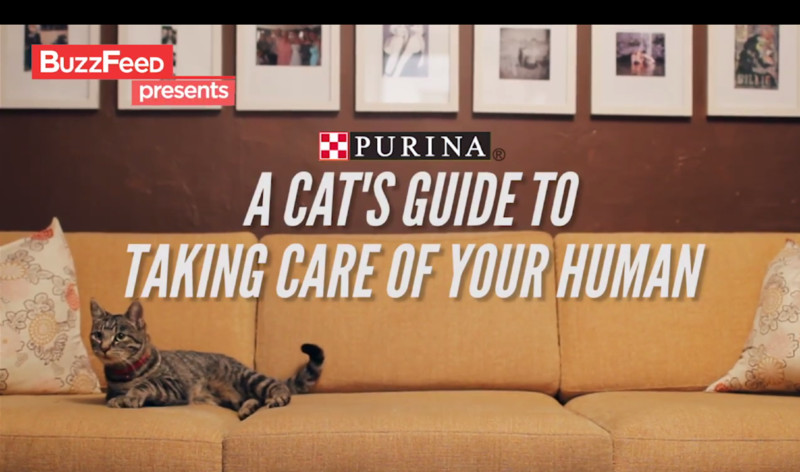 They teamed with Tidy Cats and Purina a few years back to produce a funny video from a cat’s perspective: A Cat’s Guide to Taking Care of Your Human. It’s funny, on brand (there’s a direct mention of Tidy Cats at the end), and has earned over 11 million views. It hits that sweet spot between being promotional and entertaining at the same time. 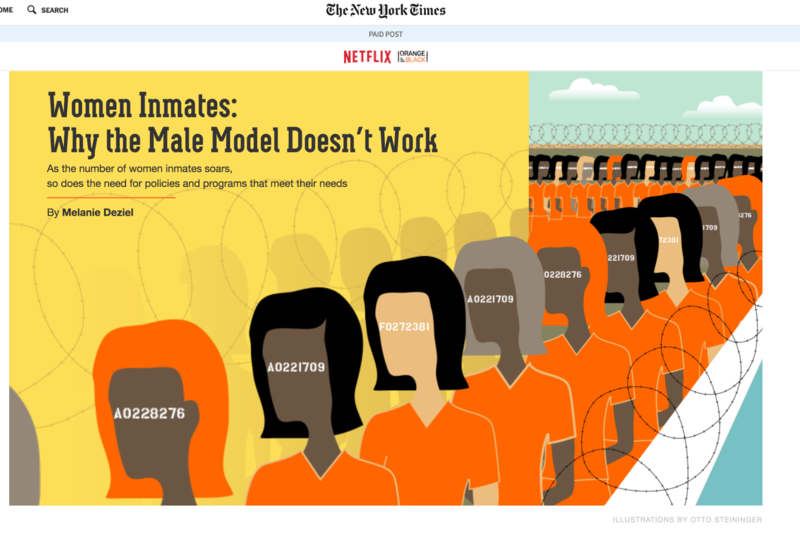 To promote its original comedy show, Netflix worked with the New York Times on an in-depth piece about a very serious subject: Women Inmates. Women Inmates feels like the kind of reporting you’d see on the New York Times in general. It collects video interviews with women in prison, stats from research and reporting that provides information on who they are, their experience in prison and what happens when they get out. The article even goes one step further to address reform recommendations that can improve things. The article is clearly relevant to the topic matter of Orange is the New Black, the show the piece is meant to help promote, and it not only raises awareness of the show but also serves to show readers that Netflix is trying to do something more than just entertain. The audience that watches the show and reads the New York Times is likely to include people who care about issues with our prison system and trying to figure out how to make things better. That makes this native advertising both smart and emotionally resonant. Buzzfeed may be known for their native advertising in the marketing space, but to the larger world one of the things they’re best known for is their quizzes. The company’s advertising arm lets brands in on the game by creating sponsored quizzes that tie into brands’ products or messaging in some way. And the results in terms of engagement are impressive – 96 percent of people who start a sponsored Buzzfeed quiz finish them. The trick is that taking them feels a lot like taking any other Buzzfeed quiz. They’re fun and silly. The recent example from Kindle gives respondents the option to pick answers to questions that make up the common tropes in mystery books (e.g. “What’s the motive?”) and provides you a book suggestion based on your answers. 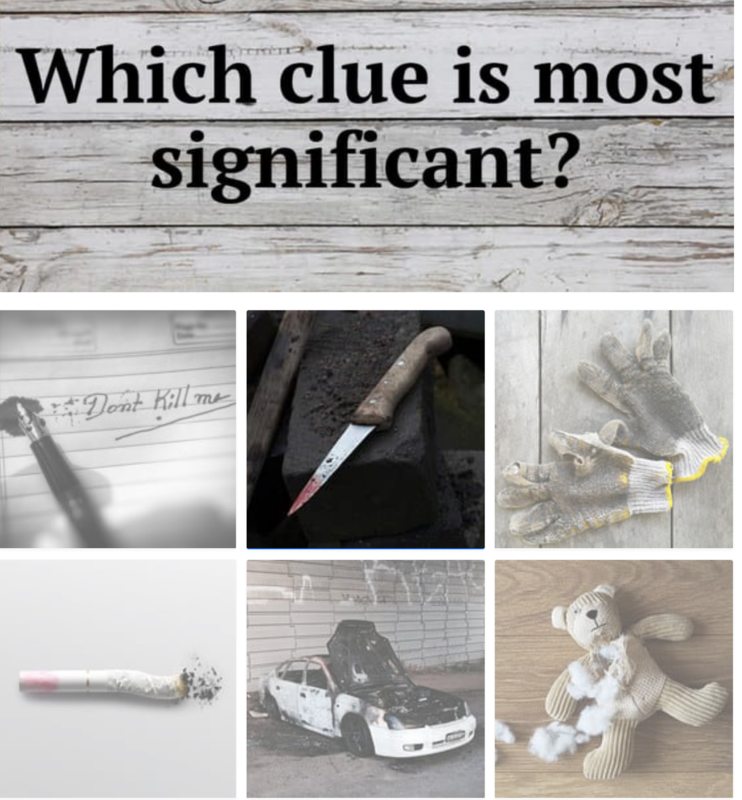 The marketing tie in is obvious, any mystery book lovers who take the quiz are encouraged to head over to Amazon to buy the Kindle version of the recommended book. And people familiar with the genre can appreciate the joke of seeing familiar tropes show up in the quiz as they take it. Adulthood Redefined is an interactive multimedia content piece by the Washington Post that looks at what being an adult means to a new generation. The content is effectively designed to encourage engagement, with social media CTAs littered throughout and polls that allow users to contribute to the content they’re consuming as they go. 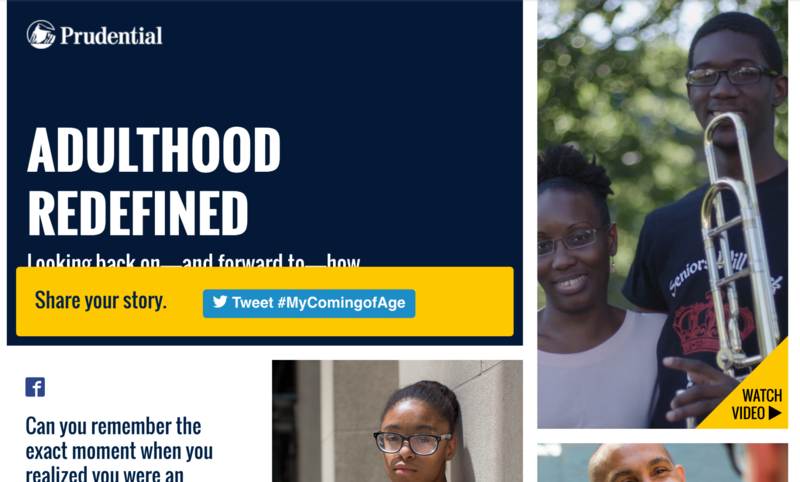 The piece includes videos and quotes that tell the stories of a variety of young adults, making it mostly about the audience Prudential is trying to reach, but it also brings in written content that addresses issues the brand wants to bring their audience’s attention to, like the importance of planning for retirement. The mix of content that’s focused on what young people want out of life and how they see their future makes pieces about topics like retirement planning and inheritance that much more resonant with an audience prone to think more about the former than the important role the latter plays in making their hopes and dreams possible. By bringing the two things together, Prudential can make their message of financial planning more resonant with their audience, while hopefully driving some new customers their way. If your marketing makes people laugh, then you know they’re engaged. And that kind of positive engagement makes them that much more likely to remember their experience with your brand. But getting humor right in marketing is tricky and the stakes are high. A joke that isn’t funny, or worse, one that’s offensive, will make your brand memorable for all the wrong reasons. Brands that team up with The Onion get to tap into the talents of some of the best humor writers out there. And The Onion’s native advertising team has come up with some truly funny stuff. One of their more memorable examples pokes fun at work we all have to do every year that no one likes: our taxes. On behalf of H&R Block, they worked up a relatable post about a woman giving herself a (not so) hard-earned break after taking the big step of just barely starting her tax form. For a nation of procrastinators, the joke feels all too real, which is what makes it so good. And we end back where we began, with a great example of native advertising from The Atlantic. 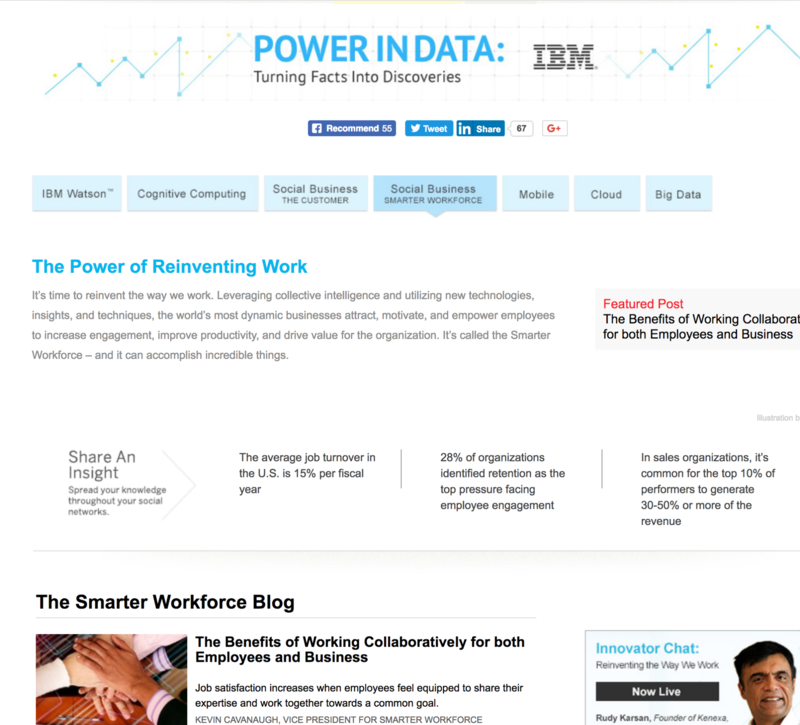 In partnership with IBM, the publication put together an entire microblog that covered different facets of the topic The Power of Reinventing Work. The blog posts look at how new technologies and ways of thinking are changing how employers find and interact with employees. That includes posts that look like business trends stories on how job candidates use technology to research companies they consider working with, alongside content that toes the line between being promotional and relevant to readers like interview with an influencer from an IBM company on how technology helps businesses build smarter workforces and a case study on how IBM’s social technology helped a company realize some of the ides being discussed in the blog posts on the series. Like the other examples, it successfully blends the goals of brand promotion and journalism to attract interest from readers without losing sight of the product the brand is out to promote. The best native advertising examples are the ones that find that sweet spot of being entertaining and relevant. It’s a difficult balance to find, but these examples show it’s possible. As helpful as native advertising pieces like these can be for raising brand awareness, they can’t be expected to work in a vacuum. Once you get a reader’s attention, you need to be able to keep it and use it to start building a relationship with them for it to pay off. For that, you need a full digital marketing strategy that shows them once they’ve found you why they should keep coming back.